PV is a low maintenance technology: little can go wrong with a well-built system. Joju offer both reactive and preventative O&M services for systems we have installed and those we haven’t. We believe that a well installed system will encounter few issues and, therefore, we actively encourage customers to avoid getting tied in to long-term and costly maintenance contracts. The key is to identify any problems that might exist early and through ongoing and comparative analysis of generation data respond quickly to resolve any other issues that may arise. To carry out these two tasks requires the help and knowledge of genuine experts. This way you can be assured that your panels keep generating and your investment keeps earning. You get peace of mind without being tied into an expensive long-term maintenance contract. We have fantastic experience working on Social Housing installations and we love sharing our knowledge on PV systems with tenants. Our tenant liaison team is brilliant at providing the information tenants need to understand the reasons for installation, benefits of the systems, how best to look after them, and how to recognise potential faults. Having installed large scale social housing projects from Brighton to Harrogate we understand the specific complexities related to managing high volumes of small systems while getting the best long-term value out of them. *Online remote monitoring systems for large social housing projects spew out a huge amount of data. Continual and regular analysis of that data allows Joju to identify issues and recognise when they are real thereby avoiding unnecessary and costly site visits. Every commercial system is different. We offer bespoke maintenance packages for PV systems on individual commercial buildings to large portfolios of commercial property. If you are interested in an O&M proposal, a check-up, or just need a solution to a problem – then give us a call. Home owners have been coming to Joju with their PV problems for ten years. We have installed over 1000 systems on residential dwellings so we have considerable knowledge in this area. We don’t offer individual maintenance packages for households but if you are concerned about your system then please don’t hesitate to give us a call. 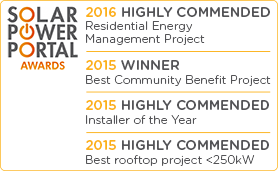 Are you 100% confident with the work your PV installer did? Is it worth checking your system is working as well as it could? We often get called out to inspect or remedy installations which we didn’t carry out. 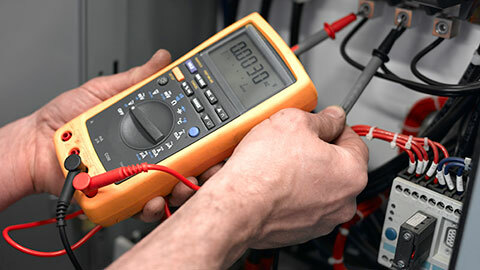 We offer audits to check your system have been installed correctly and are working safely and efficiently.